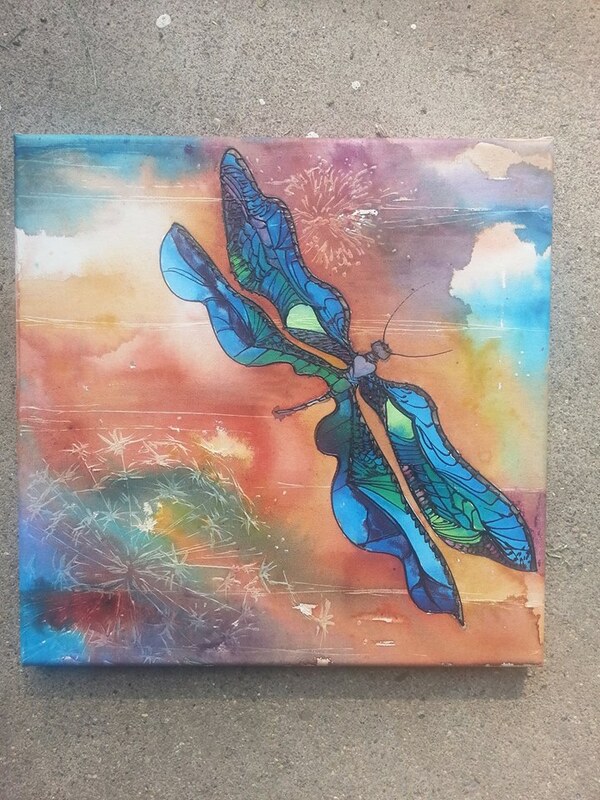 Christy Freeman will use COFFEE & Liquid Acrylics & maybe some glow in the dark paint at this Dragonfly Paint Night. First! We will paint our pretty dragonfly in black & put some texture in the background. Then, we will paint using liquid acrylics super watered down in watercolor fashion to get the transparent, thin layers! Snacks & non-alcoholic drinks provided. BYOB…bring some red wine…we can mix it with the watercolor!… I will have 12 x 12 canvases, paint, brushes and other mixed media materials for you to use! Sign up now! To Sign up, simply fill in the form at http://www.christystudios.com under Events & click PAINT to pay through Paypal or contact Christy directly at 773-235-5600 / info@christystudios.com. LIMIT 15 seats!